On January 24 and 25, Mr Dirk Fransaer of VITO was invited by the Research Office of the State Council and the State Administration of Foreign Experts Affairs to participate in the Foreign Experts Consultation Symposium of the People’s Republic of China. There are only 11 experts worldwide who were invited for this high level consultation symposium. Dirk Fransaer is one of them and he is the only expert representing Belgium/Flanders. Other experts are e.g. Mr. Paul Romer, 2018 Noble Price winner in Economics; Konstantin Noveselov, Noble Price winner in Physics; and Mr. Klaus Topfer, former German Environmental Minister. 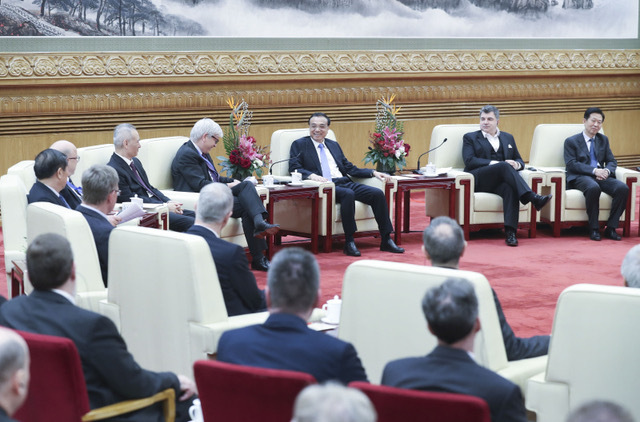 All the experts were also received by Chinese Premier Li Keqiang on January 25 in the Great Hall of the People in Beijing. Crash course Chinese starting on February 12 on 6 consecutive Tuesday evenings, a total of 15 hours of courses in Leuven. On 14 January HE Ambassador Cao Zhongming had a meeting with the China-Platform. 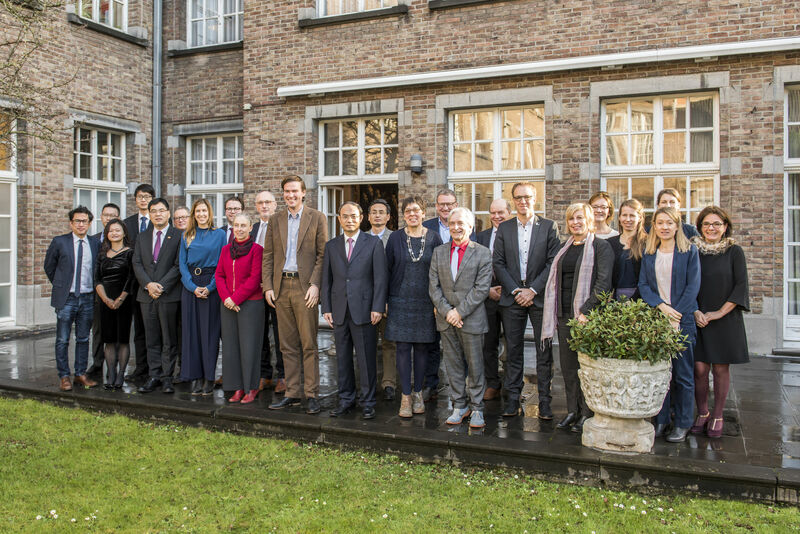 The Province of East-Flanders, Mr Didier Detollenaere, Acting Governor; City of Ghent, Mr Matthias De Clerq, Mayor; Ghent University, Prof. Rik Van de Walle, Dean; North Sea Port, Mr Daan Schalck, CEO; and the Flanders-China Chamber of Commerce, represented by Ms Gwenn Sonck, introduced their activities on China to the Chinese Ambassador. A half-day seminar was held on 10 January 2019 at the Belgian Embassy in Beijing on “The Development of Medical Imaging Technology in the Past 40 Years: How Foreign Investment in Healthcare Can Support Healthy China 2030”. This seminar brought together stakeholders from a wide range of industries to provide an informative and sharing session to discuss the important role of how foreign investment in Chinese medical imaging healthcare and technology can support and develop the ‘Healthy China 2030’ plans. HE Marc Vinck, Ambassador of Belgium to China; Christian Reinaudo, AGFA Global CEO; Herman Raets, Head of ASPACH Region North, Agfa Healthcare; Gwenn Sonck, Executive Director of the Flanders-China Chamber of Commerce; Chinese government and hospital representatives and experts in the field of medical device standards, as well as representatives of global healthcare sector organizations attended the seminar. Philippe Snel of Dawo Law Firm moderated the seminar. 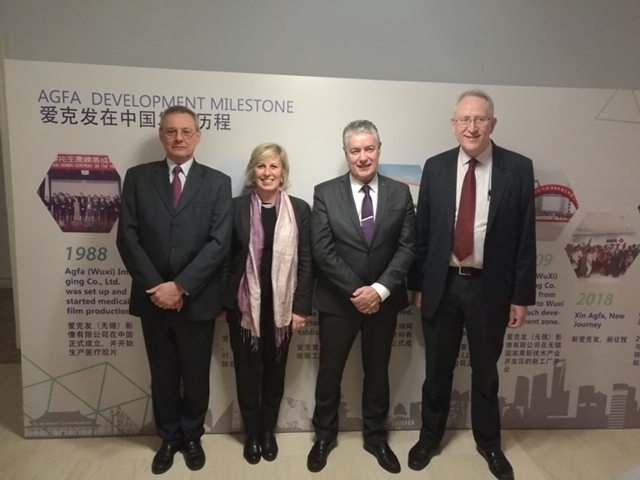 Mr Christian Reinaudo gave a presentation on how China became a regional and global center for international medical services, followed by Herman Raets, who talked about “One company’s story: Working to improve Chinese healthcare over 30 years”. An informal discussion and traditional Belgian-style food buffet concluded the seminar.